Charming bouquet of red berries with a whiff of fragrant flowers in the background. Lusciously fresh in the mouth with full fruit and good structure. A vibrant, elegant rose. 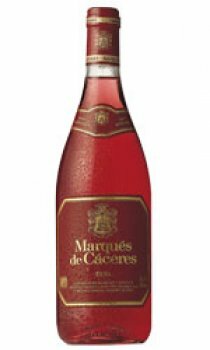 The perfect rose for fish, pork and chicken. An excellent accompaniment to Mediterranean cuisine: vegetables sauteed in olive oil, paell, pasta, and even lightly spiced dishes (thyme, larel, oregano etc.) It will even brighten up your table in the winter season! Discover this wine as an aperitif. A real tonic! Grape: 80% Temranillo, 20% Garnacha.